Each weeknight, George Stroumboulopoulos Tonight brings you a smart, sharp and intimate conversation with some of the world’s biggest stars and original thinkers. From icons and legends to new voices and emerging talent, George doesn’t just ask questions, he creates a space for every guest to tell stories and share experiences. Plus, our nightly panel features some of the funniest comedians around, with their fast and furious take on pop culture. Shot in front of a live studio audience, George Stroumboulopoulos Tonight is an entertaining and engaging look at our world and the people who shape it. Over the course of 10 seasons, the show won four Gemini awards for best talk series in Canada and a Gracie for outstanding talk show. 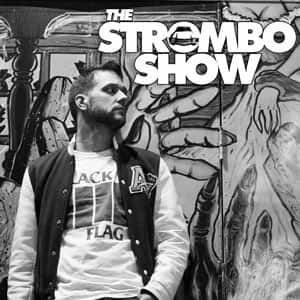 The Strombo Show is three hours of commercial-free music and conversation every Sunday night, covering all genres and all eras, with great guests and requests. And that will continue full force into September 2014, when we launch another season of the show. The program features interviews with our musical guests – everyone from Queens of the Stone Age to Vampire Weekend, Ziggy Marley to Band of Horses. Plenty of legends and icons like Slash, Patti Smith, Buddy Guy, Robbie Robertson, John Densmore of The Doors and Pete Rock have been on the show, as have plenty of fine Canadian acts like Alexisonfire, Matthew Good, Lindi Ortega, Propagandhi, Shad, Joel Plaskett, D-Sisive, Dan Mangan, Stars, Maestro Fresh Wes, Rich Kidd, SonReal, White Lung, K-Os and many more. There’s also a celebration of the music of Tom Waits with Ten With Tom, a weekly rundown of the best new tracks in The Magnificent Seven and The Blend, which features mixes from various DJs. Catch The Strombo Show commercial free Sunday nights from 8 pm to 11 pm on CBC Radio 2. You can also stream or download it on strombo.com the next day.